22 year old Gabriela Pulgar Luco from Santiago was recently crowned as the new Miss Chile 2011 in a beauty pageant held on September 10 at the W Santiago Hotel in Santiago. Crowning her is Nataly Chilet, Miss Mundo Chile 2008. 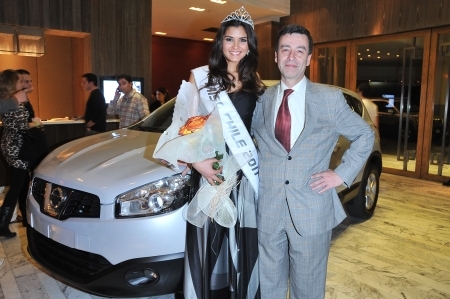 Standing 1.75m tall, Gabriela Pulgar Luco won a Nissan Qashqai as part of her prize package and she will be the official entry of Chile after a 2-year absence in Miss World 2011 beauty contest on November 6 in London's Earls Court in London, United Kingdom.